There are many cool things you can do in Las Vegas, Nevada most of which have to deal with the high-rolling casino, taboo vices, and getting married with no fuss at all. It is a favorite tourist hotspot for travelers who don’t mind getting tipsy (or drunk) all the time and go home broken after a night or two of gambling. 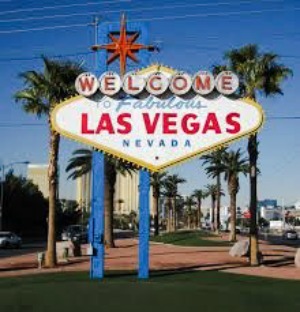 You are in “Sin City” after all. You can get away with almost everything and the use of recreational marijuana has been added to the list of taboo activities travelers can now do in the state. Well, the use of medical marijuana has long since been legal in Nevada and there are even medical dispensaries in the state where one can get their weed fix for health reasons especially if you are above 21 years old. Even though marijuana is now legal in Nevada, you can’t expect to smoke weed in broad daylight and not get caught. While Vegas tolerates various vices and have looser restrictions unlike other US states, they enforce certain rules and zoning regulations that may even be stricter than that of other nearby states. You can’t actually see any marijuana dispensary anywhere near the strip. They’re pretty serious as well in preventing casino investors from investing in marijuana too. They just won’t allow you to have the best of both worlds and it’s probably for the best of everyone. Beginning at midnight Pacific time on July 1, some 37 Las Vegas Valley medical marijuana facilities will be allowed to sell their products for recreational use. Though pot businesses are prohibited from operating directly on the Strip, a few are just a stone’s, or stoned, throw away. Nevada voters approved recreational marijuana use last November. In a recent report from Governor Brian Sandoval’s (R) office, forecasts predict that over 60 percent of cannabis purchases will be made by tourists. It’s yet another move by Nevada to maintain its status as America’s foremost playground. The end of the prohibition will have the [positive effect of bringing millennials to the desert, a generation that has displayed less interest in traditional gambling than its parents. Vegas is the 8th state to legalize recreational marijuana. Medical marijuana dispensaries actually opened just quite recently – in 2015. Even if cannabis is now legal in Vegas, pot users aren’t allowed by the state to grow their own weed at home. There are penalties if you are discovered to grow one illegally. The marijuana industry is eager for the fast-approaching July 1 kickoff of recreational sales in Nevada, where demand from tourists is expected to eventually make the state’s market bigger than other states where it’s legal, including Colorado, Oregon and Washington. The state intends to appeal a Carson City judge’s order that only alcohol wholesalers can obtain pot distribution licenses, Stephanie Klapstein, Taxation Department spokeswoman, confirmed Monday. It won’t happen on an emergency basis, and it won’t affect retail sales starting Saturday, Klapstein said. State regulators argued they have the authority to issue distributor licenses to existing medical dispensaries if there aren’t enough applicants from the alcohol industry to meet demand. Judge James Wilson disagreed. You can already picture out Vegas to be the biggest marijuana market until nearby California catches up because recreational marijuana is set to be legal in the latter on January 1, 2018, which is about half a year from now. Tourists on the strip are the biggest weed consumer as well, which is why the state can also expect big names in the weed industry to set up their own weed dispensaries because the market is just too big and you don’t want to miss out on an opportunity to sell more. Tourists are also more inclined to try what Vegas has to offer especially that many of these things are prohibited back home. It’s a chance of a lifetime for both, which is why Vegas is the perfect destination for anyone who wants to have a good time just as long as you don’t smoke your pot on the strip because that is still illegal, by the way.